ACID by Jeff Lovell. Rick Howell, living in the shadow of two women who have the power to change reality, must risk his life to stop the genocidal exploits of a desperate lunatic who wants to acquire their powers. The discovery of a mind controlling drug opens a pathway to frightening mental abilities for Rachel Farrell, who can move backward and forward in time at will, while Donna Riske, Rachel’s best friend, can control the thoughts of others. 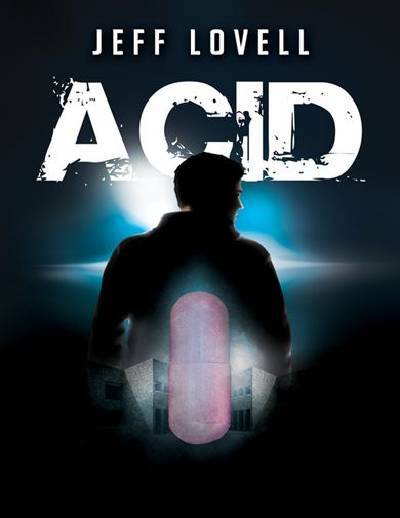 ACID by Jeff Lovell. Rick Howell, living in the shadow of two women who have the power to change reality, must risk his life to stop the genocidal exploits of a desperate lunatic who wants to acquire their powers. The discovery of a mind controlling drug opens a pathway to frightening mental abilities for Rachel Farrell, who can move backward and forward in time at will, while Donna Riske, Rachel’s best friend, can control the thoughts of others. Preface In the late 1960s, American young people began a flirtation with mind-altering drugs, desperately evil drugs like LSD, then Angel Dust, and even heroin. We released a lot of demons in the Pandora-like 60s and some of them have never been placed back in the box. Here’s the story of one such drug and what it does to four people who take it, unaware that they will be altered forever.